Do you need storage for your stuff during the summer? Do you attend UW River Falls? Why bring your stuff home? You can get a storage unit to keep your stuff close to school to make the summer a little less crazy with your stuff everywhere. College: You want to keep that chair of sofa for school next year but, you don't have room at home. 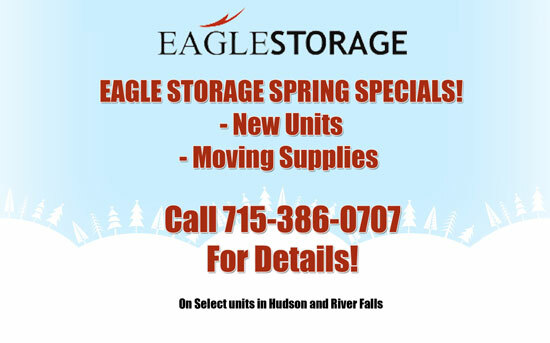 Call Eagle Storage to see if they have a unit for your stuff call today and talk to one of the owner operators.